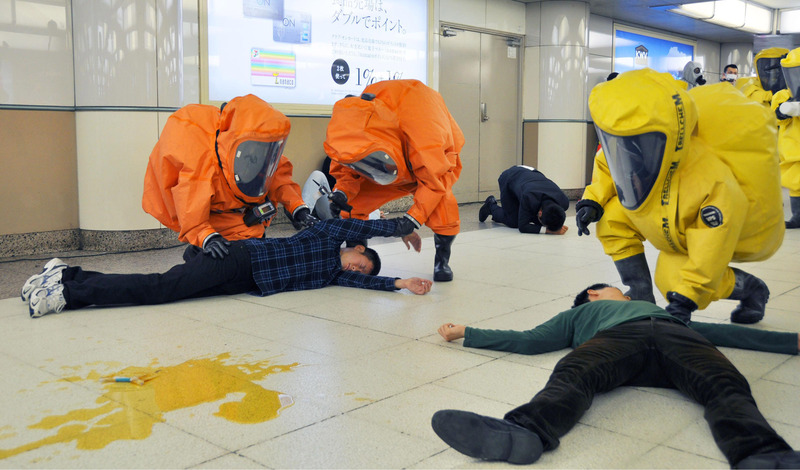 Japan on Friday commemorated the 20th anniversary of doomsday cult Aum Shinrikyo’s sarin attack on the Tokyo subway system, which killed 13 people and left more than 6,000 sick or injured. Families, acquaintances and former colleagues of the victims gathered in the morning at one of the scenes of the coordinated attack — Kasumigaseki Station in Chiyoda Ward — to observe a moment of silence and leave flowers in honor of the victims. Prime Minister Shinzo Abe also visited the subway station and left a bouquet. “After 20 years, there are still people left traumatized by the attack. . . . I would like to offer my sincere condolences,” Kasumigaseki Stationmaster Mitsuaki Ota told reporters after offering flowers. The deadly rush-hour attack was masterminded by half-blind Japanese guru Shoko Asahara, whose real name is Chizuo Matsumoto. Asahara told his disciples it was a holy attempt to elevate the doomed souls of this world to a higher spiritual stage. 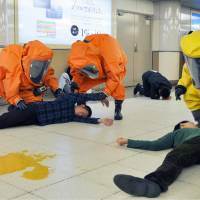 Two killed by the deadly nerve agent were subway employees at Kasumigaseki, the station used most often by central government bureaucrats. “As I dedicated my flowers today, I swore to them in my heart that we will make sure their deaths won’t be in vain,” Ota said. 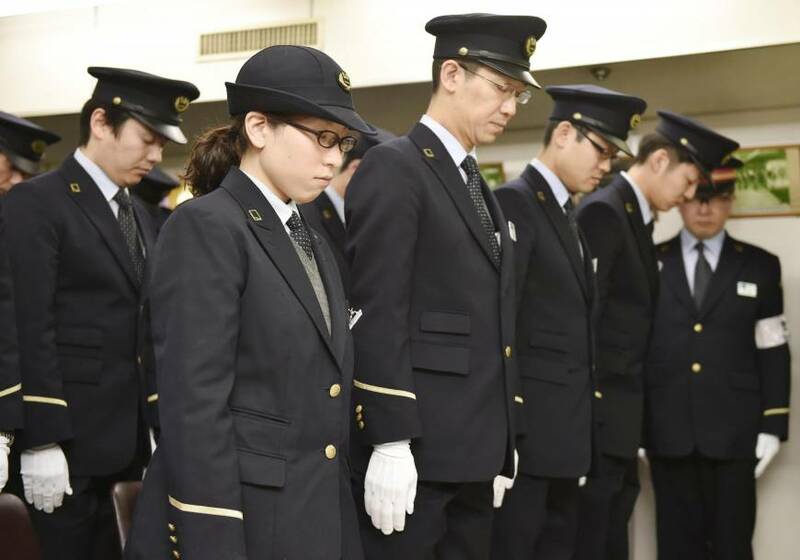 Tokyo Metro Co. periodically educates the roughly 60 percent of its employees who have joined since then about how one of the worst terrorist attacks since the war unfolded, he said. 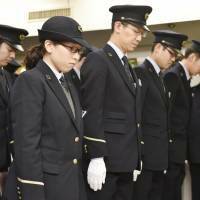 Shizue Takahashi, who lost her husband, Deputy Kasumigaseki Stationmaster Kazumasa Takahashi, in the attack, said after 20 years her resentment toward the cult has not abated. She voiced dismay over reports that Aum’s successor sects, called Aleph and Hikari no Wa, still remain largely loyal to Asahara. “Those of us who know about the attack firsthand need to recount our experiences to those who don’t and get our voices heard as much as possible” to prevent such a tragedy from recurring, she said. One of the people attending the ceremony, Toshiko Nukui, 69, said she is filled with unease whenever she sees an unattended bag on a train. To spread the sarin, the cultists left plastic bags filled with the nerve gas on the floors of the trains and punctured them with sharpened umbrellas. “I believe that’s what many survivors feel today, too,” Nukui said. She said she narrowly escaped the attack because she happened to get on a different train that fateful day. She has been offering condolences at the station nearly every year for the past two decades. Chiba native Fumiko Suzuki, who lost an acquaintance in the attack, said she feels sorry many survivors remain ill or disabled.